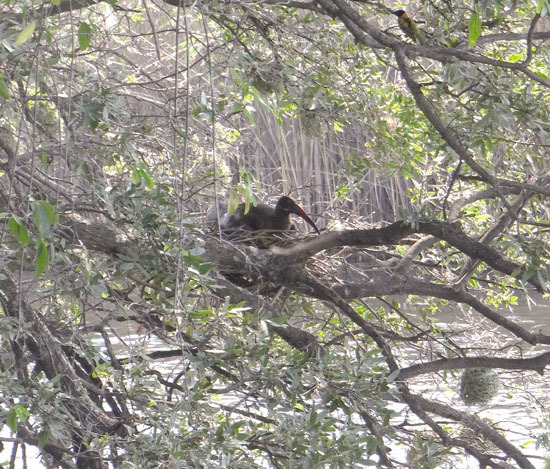 Namushasha River Lodge had very special guests during the past months: Hadeda ibises nested on the banks of the Kwando River and had a clutch of two eggs. According to lodge manager Otto von Kaschke they left the nest in January. The Hadeda (Bostrychia hagedash) is part of the ibis family. A recent analysis – led by Dr Chris Brown – of breeding habits among birds in Namibia put this African bird in a category of species which are thought to breed in Namibia. Official records were not yet available, however. Until now, that is: the first pictures finally corroborate the hypothesis. One of the guides at Namushasha River Lodge, Lennox Matengu, discovered the Hadeda nest on 23 November 2014 in a large tree. It was built some 4 m above the ground on lateral branches overhanging the river and contained a clutch of two eggs. By 6 December one of the chicks had already hatched. The ibis family deserted the nest in early January. The manager of Namushasha River Lodge, Otto von Kaschke, first noticed a Hadeda nest in November 2013, about 1.5 km downstream of the lodge. Since the bird in the nest seemed agitated it is likely that it was incubating. This is only the fifth time that Hadeda ibises were seen breeding in Namibia. 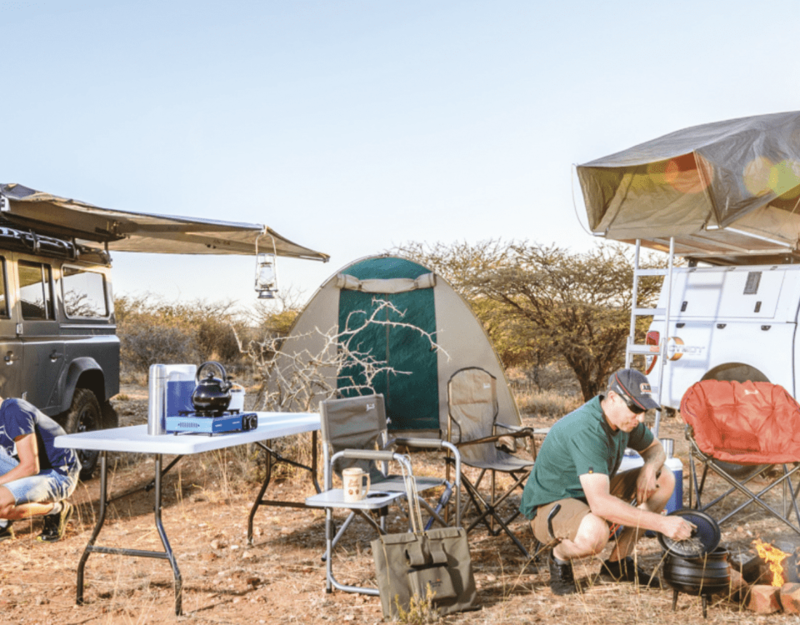 Two nests with chicks were discovered in November 2012 and 2013 on the Kwandu River in the vicinity of Mazambala Lodge and another one about six years ago at Susuwe Camp. During the early 1980s the Hadeda was considered a rare species in Namibia. It was only observed in the eastern Zambezi Region and was even included in the first draft of the national red list of endangered bird species. Since then, however, this type of ibis has spread west, further into Namibia. Now it also occurs along the length of the Kavango River and during the rainy season in Khaudum National Park. In the far south Hadeda ibises can be found in the lower reaches of the Orange River.